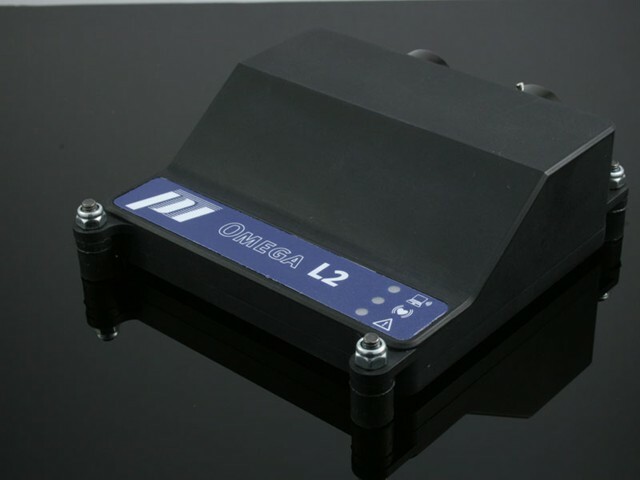 The Omega L2 Plus, Pro and Ultra range of upgradeable loggers are the latest addition to the Omega logger family, building on the success of the L2 platform in Formula Renault 2.0, World Series by Renault, TTA and as the specified FIA / ACO WEC scrutineering logger. The Omega platform is exceptionally simple to use, and offers the user full configurability and control of analogue & digital inputs, logging table, alarms and qualifying mode for driver comparison. Configuration is via Cosworth's latest configuration software, Toolset, and all data is offloaded in Cosworth's market leading Toolbox analysis software. - Up to 2GB of logging memory, with fast offload via the onboard 100 BaseT Ethernet connection. - Fully configurable "box-maths" - advanced on-board math capability with users able to configure channels to run on the box to calculate statistics and other calculations. For example; o Calculation of accurate statistics - time in gear x, time on throttle, number of over revs etc. o Brake Balance, Minimum Corner Speed and Maximum Straight Line Speed o Complex alarms to minimise false occurrences - i.e. only flag a Low Pressure alarm after a number of instances and / or when any number of other conditions are true. - Expandable - CAN nodes can be added for expanded I/O in test environments. - Built-in accelerometers for track mapping & acceleration measurements and internal diagnostic channels for battery voltage and box temperature. The L2 has reverse battery, over-voltage and load dump protection built in as standard, and sensor supply and signal ground pins are also protected against shorts to battery positive and negative. The enclosure for the unit is robust, offers Deutsch Autosport connectors and is environmentally rated to IP67. Contact a representative if you are interested in purchasing this product.